The Curriculum Coordinator is responsible for coordinating the curriculum resources (print, technology, and created) for the school in order to meet the needs of our students in accordance with the COMAR regulations set forth by the Maryland State Department of Education. The CC serves as the school Test Coordinator for all state mandated testing (Alt-MSE, NCSC, etc). The CC will work collaboratively to ensure a strong use of state of the art technology in instruction. Coordinate/manage core curriculum needs for The Benedictine School in conjunction with the Education Director, Team Leaders, and others as necessary. Work with each classroom teacher/team to ensure appropriate curriculum and materials (including technology) is available for student needs in conjunction with team leaders. Identify and assess potential core curriculum, materials, and technology to supplement and enhance current tools/methods. Oversee and manage instructional technology (hardware and software) related to education technology for the school. Assist staff in adapting age appropriate General Education curricula to the learning needs of students. Identify curriculum training needs of the school in conjunction with team leaders. Coordinate required state testing such as Alt-MSA, NCSC, etc. Assist classroom staff in curriculum needs as they apply to implementing state testing. Develop and monitor school-wide policies on educational and other technologies. Work with school staff to design and develop instruction using technology. Support school and residential staff in the implementation, training and use of new education technologies. Work collaboratively with Communication and IT Departments in supporting the instructional and clinical needs of students. We are seeking an engaged, knowledgeable, enthusiastic individual to take on the position of Principal for a new STEM Academy for students with social and learning differences, including autism. STEM3 Academy is for students in grades 9 through 12 who have a talent and passion for STEM-related activities. The Principal would be involved in the day to day running of the school, as well as overseeing teacher planning and execution. STEM3 Academy is committed to experiential learning, and the development of 21st Century skills through integrated group projects and assignments. We expect the Principal to be actively involved in the development of the Academy to further its goals of achieving lifelong success through college and career for its students. Ensure compliance with school district policies and procedures. Hire, orient, train, supervise and evaluate teaching staff. Ensure that classroom curriculum is appropriate and meet the needs of each student. Transition new students into school program. Serve as coordinator of interdisciplinary team. 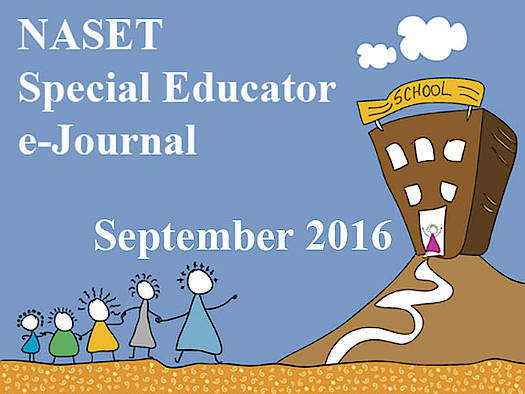 Attend student Individual Education Program (IEP's) or send an administrative designee. Serve as liaison to parents and school district. Oversee outcome evaluation study to ensure program is achieving its goals. The Principal should meet routinely with teachers and observe in classrooms to ensure conformity with the goals of the program. The Principal should remain current with best practices on educating students with ASD, ADHD, SLD, ED and related needs, as well as those who are gifted. To learn more about The Help Group visit: www.thehelpgroup.org. To learn more about STEM3 Academy visit: www.stem3academy.org. Minimum 3 years' experience as a classroom teacher or 3 years of a combination of teaching and school administrative experience required. To apply for this exciting opportunity, please send your resume, cover letter and salary history to careers@thehelpgroup.org. STEM3 is a unique, state-of-the-art STEM-based high school educating students with special needs, including those with high functioning autism. STEM3 Academy is home to students who are interested in a variety of careers including those that relate to Science, Technology, Engineering and Math. At STEM3 Academy, project-based learning emphasizes creativity, cooperation, rigorous academics and enhances real-world experiences. Our goal is to position our students for future success in college and career. The idea of a specialized school for students with special gifts in the STEM disciplines can be the next great step in building independent lives for children with learning differences. Our out-of-the-box thinkers need an out-of-the-box curriculum as unique as them. The time has come for STEM3 Academy. To find out more about us, go to www.stem3academy.org. Research and development of STEM curricula that can be adapted into a STEM3 Academy Model Curriculum, weaving in project-based learning and embedding social/emotional learning for students with special needs. Build out a STEM3 Academy K-12 scope and sequence. Build developmentally appropriate curricula for each level of each discipline in elementary, middle and high school programs which aligns with the California Common Core State Standards and the Next Generation Science Standards. Provide in-service to Teachers and Instructional Aides in the new curriculum. Coordinate measurement of new curriculum with evaluation and assessment efforts. Bachelor's degree accepted with experience, Master's degree preferred in Curriculum Design and/or Education. Experience working as teacher and/or administrator and/or curriculum designer. To apply for this exciting opportunity, please send your cover letter, resume and salary history to careers@thehelpgroup.org. At Life Skills High Schools we strive to provide our unique students with the best education possible. It is our goal each and every day to Educate, Innovate, Inspire, and Love each and every individual that comes to our schools. We pride ourselves in knowing that our students are not only receiving the best education that they deserve, but also developing the necessary life skills needed in this day and age to become the successful person that is in us all. Our Intervention Specialists provide effective education to students with learning and/or developmental disabilities. IF YOU WOULD LIKE TO JOIN THE NEW AND INNOVATIVE WAVE OF EDUCATION, APPLY TODAY! New Hope Treatment Centers a Psychiatric Residential Treatment Facility located in Rock Hill, SC. is hiring for Special Education Teachers. This position provides for an educational experience for residents, whose emotional, mental, or physical disabilities make it difficult for them to learn. As a Special Education Teacher, you will be responsible for the daily development and delivery of individualized instruction for our students. This position requires the knowledge and use of current best practice teaching methodologies within a self-contained classroom setting. Coordinates or Administers appropriate educational testing (achievement and intelligence) to gather data for the development of the Individualized Educational Plan and instruction. Provides therapeutic intervention in the classroom to maintain a therapeutic and safe educational environment and manages resident behaviors effectively. Develops and submits appropriate individualized lesson plans. Provides an appropriate educational program for each resident based on thorough assessment and review of previous school records. This includes hands-on activities and curriculum adaptations or student accommodations when needed. Please visit our website at www.newhopetreatment.com to learn more about the population you will be teaching. The primary responsibility of the teacher is to ensure the health, safety and well-being of each student. The teacher is accountable for the development, implementation and monitoring of all aspects of classroom programming. Adhere to all mandated reporter and OIG guidelines at all times. 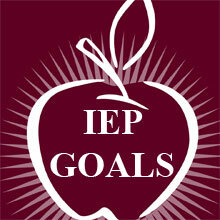 Develop weekly lesson plans in alignment with student IEP goals. Perform and submit formal assessments at least 10 days prior to each student's annual review, but not earlier than 30-days prior. Develop, in collaboration with team members, appropriate IEP goals based on assessment results 10 days prior to annual review. Update and provide data-based quarterly progress reports and IEP benchmarks. Note in lesson plans, references of informal assessment of specific students that triggered plan. Arrange for and perform activities, materials, and prompting hierarchies that relate to the IEP goals. Mentor and train classroom and 1:1 assistants to anticipate those activities that they can perform, which support the lesson plan. Provide monthly suggestions to the School Administrator/Program Coordinator on areas of training that would enhance the skills of teachers and aides. Conduct weekly meetings with paraprofessional staff members and submit documentation to administration. Interact with the School Administrator/Program Coordinator and clinical staff regarding clinical recommendations. Observe performance of classroom staff sufficient to perform an evaluation and assist administration with annual performance evaluation. Notify School Administrator/Program Coordinator of the onset of unacceptable performance of classroom staff. Communicate daily to parents via notebook or phone regarding the on-going performance of students. Maintain and update all required components to student main files. Participate in at least 2 outside trainings per school year directly related to serving students with special needs, particularly those diagnosed with autism. Participate in all scheduled in-house training throughout the school year. Participate in student IEP/MDC meetings throughout the school year. Participate in medical case review meetings for students throughout the school year. Conduct at least 2 observations in other classrooms and provide administration with documentation of each observation throughout the school year. Bachelor's Degree and an Illinois State teaching certificate in an area of regular education, and a Special Education endorsement, letter of approval or a short term emergency letter of approval. Completion of required clinical hours for teaching degree/certificate. Experience working with special needs population necessary. ADA: Easter Seals will make reasonable accommodations in compliance with the Americans with Disability Act of 1990. Unless exempted by the Americans with Disabilities Act, all persons hired for this position are required to possess the ability to perform the physical tasks necessary to treat clients, i.e., bending, floor-sitting, etc., as well as to have the ability to lift up to 50 pounds frequently. Planning and facilitating meetings throughout the ARD committee process and ongoing communication and collaboration with parents, staff, and administrative staff regarding student planning and progress. Coordinating 504 plans and conducting testing and ELL programming for eligible English language learners. Fulton County Schools provides instruction for students that enables them to learn and demonstrate mastery of the Georgia Performance Standards. Please apply to our Teacher Candidate Pool. The application includes the Teacher Fit Inventory and a Student Data Set Exercise. You will receive an invitation to schedule a phone interview within 48 hours of submission.